It's been an incredibly positive year for U.S.-Cuba relations. And I'm not just talking about loosening travel and trade restrictions. How did Elián González get so hot?, was one of the immediate reactions to the 21-year old's exclusive ABC News interview on Monday, in which he spoke for the first time as an adult. 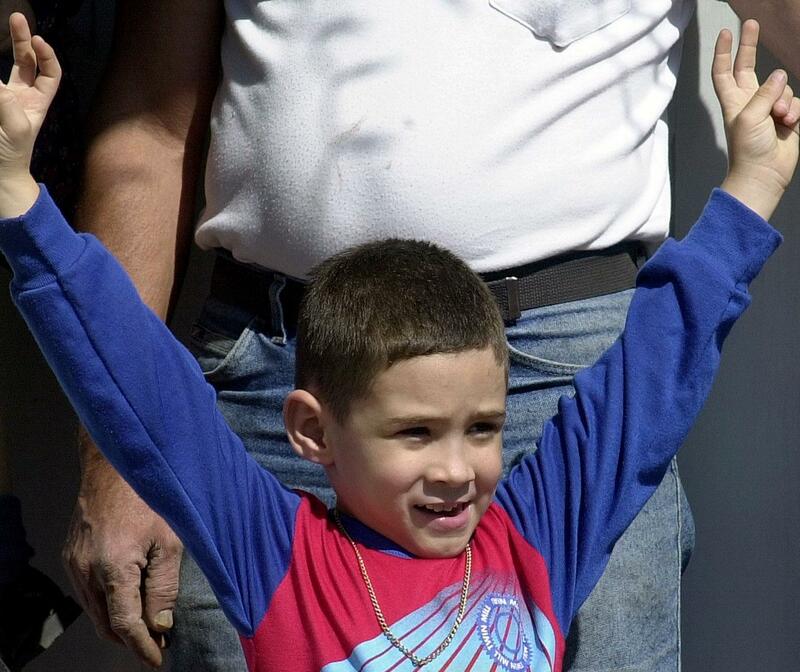 The six-year-old González, found floating near Florida in 1999, captivated Americans with the debate over whether to return González to his father in Cuba or allow him to stay with Miami relatives. And now as a fully-grown, 21-year-old man, González is again captivating Americans, but for entirely different reasons. The interview highlighted the 21-year-old engineering student's rugged physique and boyish good looks. "To the American people, first I say thank you for the love they give me. I want the time to give my love to American people," González told ABC. The best news? The heartthrob wants to come to America! What's on his list? Going to a baseball game and checking out the museums in Washington, D.C. Well, there are just about a million women in D.C. who will be lining up to be Elián's tour guide, but it's unlikely he will take the bait. The Smithsonian Museums are pretty easy to navigate and offer tours in Spanish. And I think it's safe to say that González wants to check out the new T-Rex exhibit at the Natural History Museum, not be checked out, right? Oh, but guys — Elián González is engaged. To his high-school sweetheart, the 22-year old Ilianet Escaño, according to ABC News. But the mere fact that González has put a ring on it won't stop the wave of love coming by way of Twitter. A search for "Elián González fine" reveals a chronology of his hotness dating back to 2010, when the human rights figurehead was just 16 years old. Which is pretty gross. As well as exuberant celebrating when González became legal. Hurrah! But given that his last media appearance prior to this week's ABC News interview was at the age of 11, González has spent most of his formative years away from the eyes of the press. But given the warming of U.S.-Cuba relations and his continuous warming of American hearts, maybe that will change? Anyway, it's been a long time, Elián. Come back. We missed you.